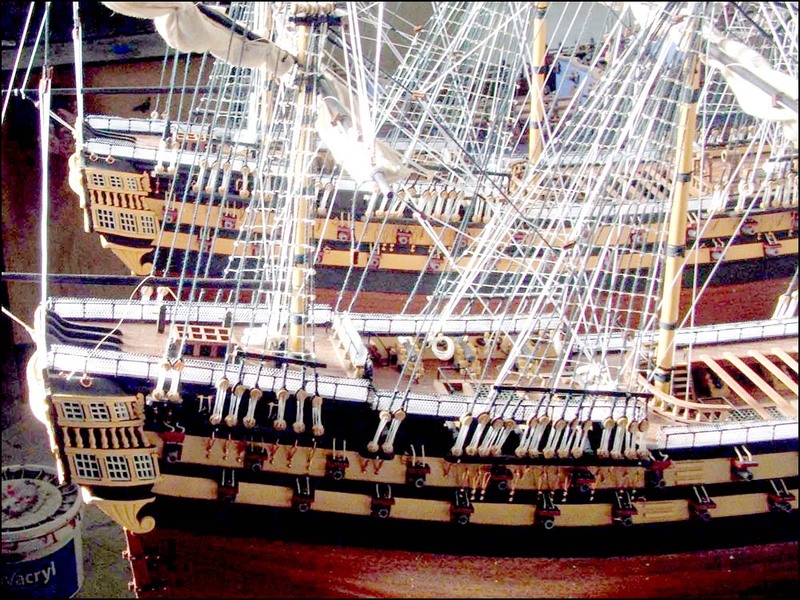 This Amerigo Vespucci ship model is handcrafted from scratch. The hull is built using wooden plank on frame technique and lacquer painted for a striking finish. The decks are of teak wood and treated with varnish to bring out the value of the wood and the deck details are miniature replicas of the real Amerigo Vespucci. This majestic model ship of the Italian Navy Training Ship Amerigo Vespucci will be back in stock in July 2019. If you are purchasing it as a corporate gift or anniversary gift we can add a commemorative plaque. Please contact us for details. This precious Amerigo Vespucci ship model is hand built from scratch and the decking is teak wood. It is decorated with magnificent ornaments and the figurehead is a statue of Amerigo Vespucci.